There’s no better way to spend a lovely summer evening than at a concert in Bryant Park. 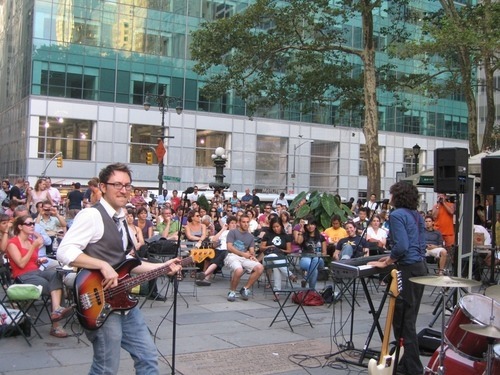 This summer, we have a fantastic line up of talented, New York area musicians for the Bryant Park After Work Music Series. The free concerts will take place every Wednesday evening on the Fountain Terrace, perfectly timed to help you unwind after a long day at work. From jazz to singer-songwriters, the eclectic selection of artists includes popular acts like The Spring Standards, Jonah Smith, Annie and the Beekeepers, and Jeremy Udden’s Plainville. The series kicks off next week on Wednesday, May 5, with modern ragtime from Grandpa Musselman & His Syncopators, a crowd pleasing group you may have seen in the park last year at our celebration of the London Plane trees’ 75th birthday. 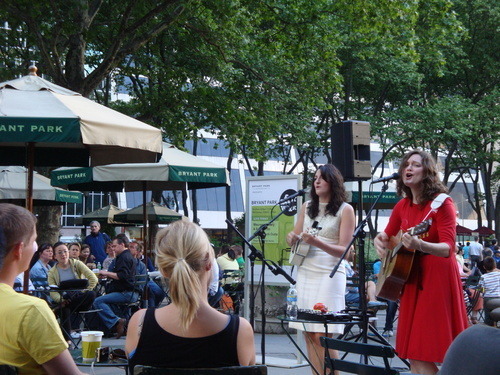 Check out the complete schedule of After Work performances at bryantpark.org. It’s like happy hour for your ears.